A large seamless display to maximise your space! 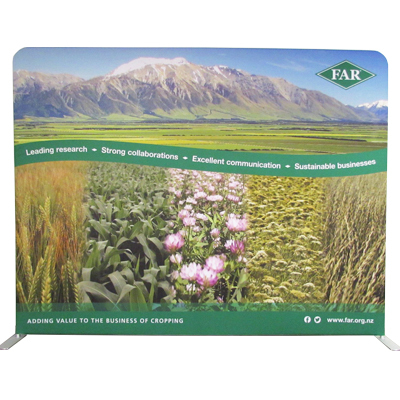 The Grafico Fabric Wall is a robust yet modular and freestanding fabric tension display stand. 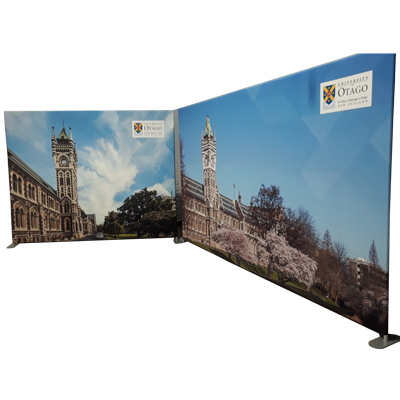 The lightweight internal aluminium frame is an interlocking system which easily connects together in minutes and is finished with Exhibit Group's high quality dye-sublimated printed fabric panel. 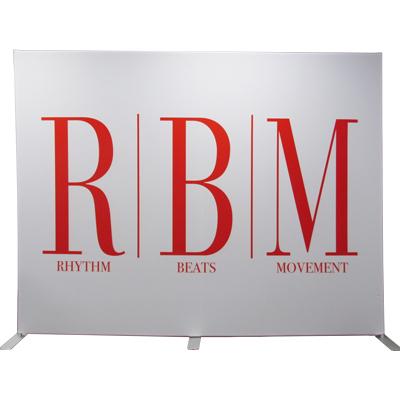 The Grafico Fabric Wall is very easy to setup and is an ideal solution when looking for a large seamless back drop for your events. 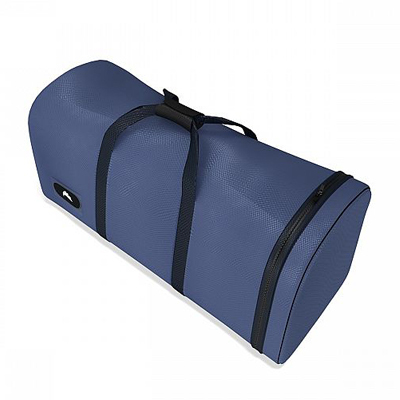 The high quality fabric wraps over the framework to provide maximum branding exposure . Modular frame which is robust in construction and engineered from lightweight aluminium. High quality seamless dye-sublimated fabric print which is machine washable and wrinkle resistant. Fabric panel can be easily changed out to suit your target audience. No tools required and is fast and easy to setup. Frame corners can be either rounded or squared. Various width sizes available, however width can be customised if required. Customised sizes are available on request with additional lead-times. The Grafico Fabric Wall comes with our high-quality dye-sublimation detachable and interchangeable fabric graphic panels.